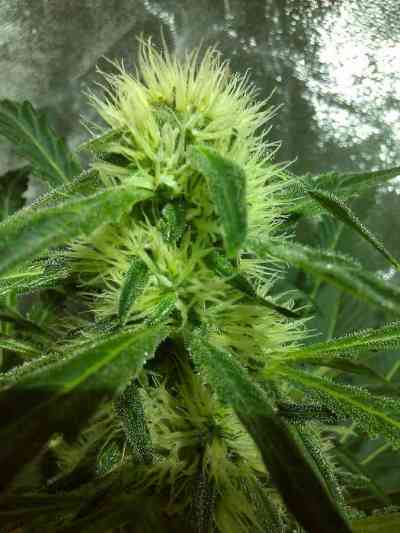 This is one of the most indica strains in Kannabia’s mother room. 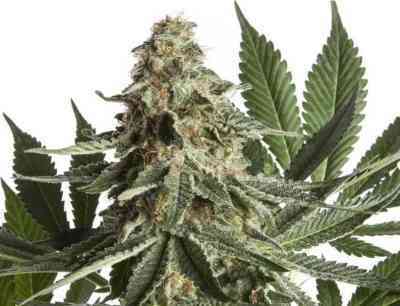 The goal wasn’t only to achieve a fast flowering, but to make the most of the hybrid vigor of this Molotov cocktail of indica strains such as Black Domina, Afghan and Maple Leaf Indica. Kreamy Karamel (aka Karamelo) meets the best characteristics of all the strains included in Kannabia catalogue: fast, productive and easy-to-grow. 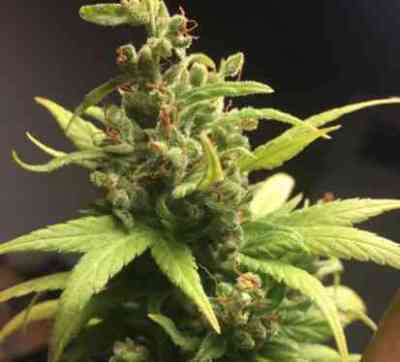 This plant develops all its potential outdoors because, although its height can exceed 2 metres of pure buds, you will be able to harvest it in mid-late September. During the tests, some specimens were ready in little over 6 weeks, although 7 weeks will be more convenient for a proper ripening of all the trichomes. Buds are thick and spongy, but they harden like rocks over the last weeks of the life cycle. Flowers give off a penetrating and sweet smell during the first weeks of flowering.